Philips Hue smart lights are some of the coolest on the market and they're definitely some of the most popular, but they can be quite expensive, especially once you get into colored bulbs. If you're looking for a less expensive alternative or just something other than what's popular, then check out these other awesome options (like the LIFX A19 bulbs). LIFX's relatively inexpensive bulbs provide 16 million colors and 1,000 shades of white, and they connect via Wi-Fi without the need for a hub. That and each bulb only uses 17 watts despite a lumen count of 1,017 (A19 model). The price of the Cree smart bulb belies its quality. Controllable with Alexa, you can get a 60-watt equivalent bulb in soft white or daylight, and it works with multiple other hubs. There's none better for value, with the Cree Connected bulb sporting a 22-year lifespan (25,000 hours). For under $30, you can get the Sylvania Smart bulb that offers 16 million colors, multiple lighting presets, and it's controllable using a ZigBee hub along with your favorite smart assistant. You can also grab it in just white for only $11. For hubless Wi-Fi control of your smart lights, Eufy's Lumos bulbs are fantastic. They're somewhat expensive, but you can snag a plain white bulb for $20. The multicolor bulbs are where the fun begins, though — just screw them in, connect to Wi-Fi with the app, and use Alexa or Google Assistant to control them. 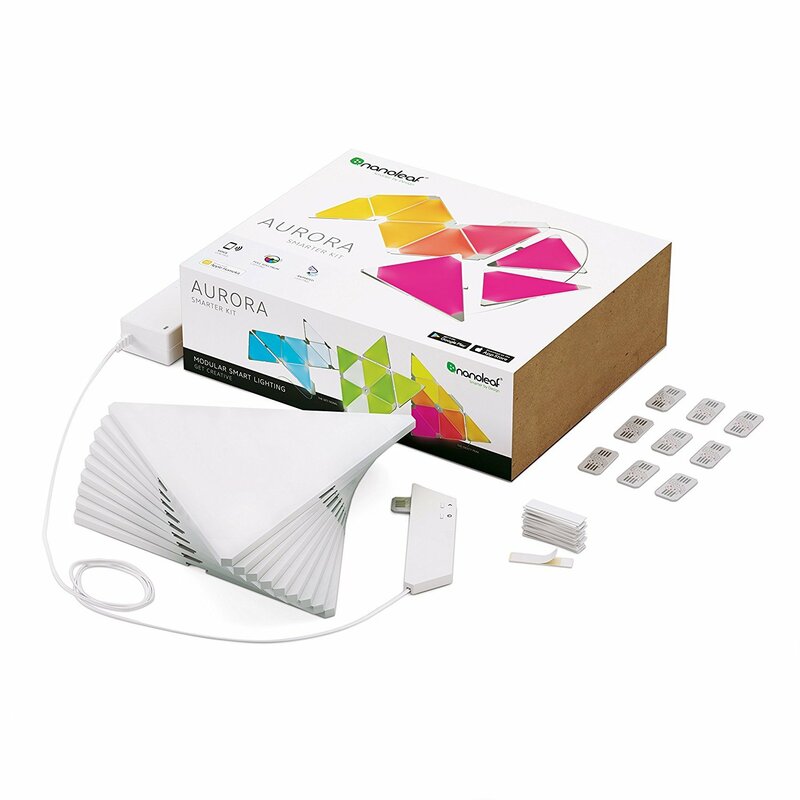 If you want your smart lights to make more of a statement than a simple bulb does, check out the Aurora Rhythm from Nanoleaf. It comes in packs of 9 or 15 panels, which features millions of colors, as well as audio sensors, which change the lighting in time with your tunes. Orient the panels any way you like. Yeelight's bulbs work with Alexa, Google Assistant, and IFTTT, and you don't need a hub to control them. There are 16 million color options, they're dimmable, and you have control of a color temperature range of 1700K to 6500K. Lots of bang for your buck. For fabulous everyday bulbs at a great price, this TP-Link 3-pack is perfect for getting your smart home started. It works out to $18 per bulb, and you can control them with Alexa or Google Assistant with no hub required. LOHAS' bulbs have incredibly fine built-in adjustments when it comes to dimming. You can set each bulb exactly how you like it, and you don't need a hub. Color temperature ranges from 2000K to 9000K and you have 16 million colors to choose, just like with any great multicolor smart bulb. While LIFX's bulbs are certainly the best alternative to Philips Hue, the less expensive Eufy Lumos will more than do the trick for beautiful, colorful smart lightning.